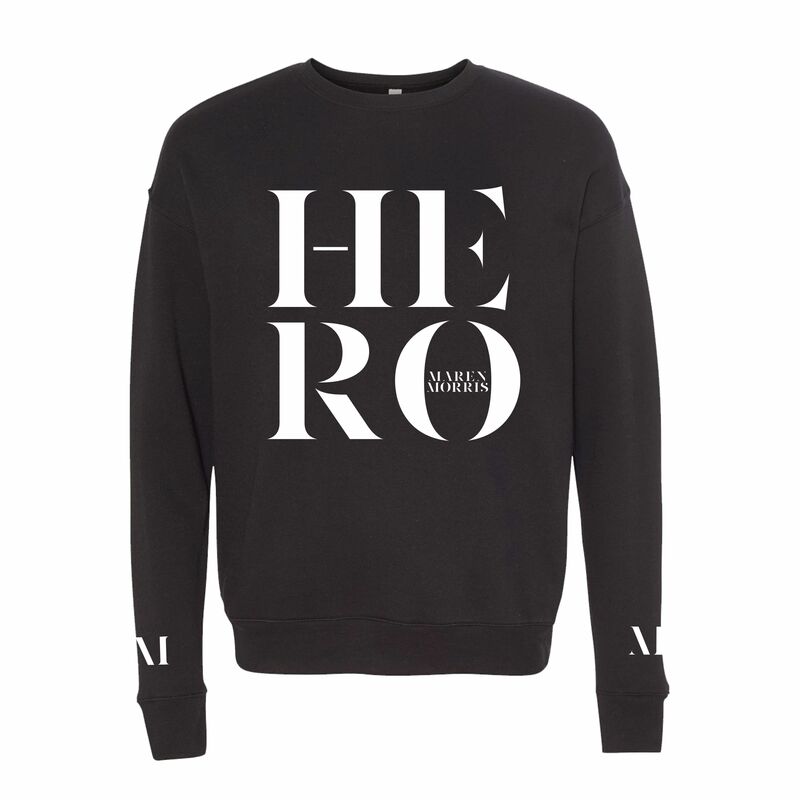 Black unisex cotton/poly crewneck sweatshirt with Maren Morris HERO logo on the front and an M print on each sleeve. I absolutely love this sweatshirt. Gotta admit that the material is not so good but the design is sooo nice. Definitely my fave sweatshirt!!! The sweatshirt is true to size, washed really well, and is soooo comfortable. I definitely recommend it. I love this crewneck so much! It’s so soft and comfortable! Very true to size! Thank you ! Sweatshirt was very comfortable and true to size! Will order again! Amazing sweatshirt - material is very soft and a good cut. Went a size up to make it a little baggy and it was perfect.